On Friday, March 22 from 6 a.m. to 8 a.m., we will be upgrading blog.ryerson.ca to version 5.1, “Betty”. During this time, blog creators and visitors may experience a brief outage. This upgrade doesn’t introduce many visible changes, instead focusing on improvements to the post/page editor, as well as some behind-the-scenes site health features for the network administrator. As always, we are conducting a broad range of tests to ensure the upgrade doesn’t negatively impact our network of sites. Unfortunately, we cannot test all combinations of plugins, themes and content types. If we find any issues related to the upgrade, I will add them to the bottom of this post. No issues specific to this upgrade have been found yet. On Tuesday, December 18 from 7:00 a.m. to 8:00 a.m., we will be upgrading the version of PHP that runs on blog.ryerson.ca. During this time, the system will not be available. UPDATE December 5: Please note that this upgrade will not include an update to WordPress 5.0. This will be scheduled for the new year. As this upgrade may impact the way that some of the blogs run, we strongly recommend that the grading of all Fall 2018 blogs be completed prior to the December 18 update. An email has been sent out to all instructors who have course blogs running this term. How will my blog.ryerson.ca blog be impacted? Our initial tests have not shown much impact to specific blog functionality, however, we cannot test all combinations of plugins, themes and content types. If we find any issues related to the upgrade, I will update this post (see the list below). Theme: Under the influence Broken after PHP 7.1 upgrade. Few blogs are using this theme, and owners have been contacted. As this theme is no longer being developed, it will be removed from blog.ryerson.ca. blog.ryerson.ca will be upgraded to WordPress 4.7 on Friday, January 13, 2017 between 6:00am and 8:00am. A new theme – Twenty Seventeen. A simplified process for creating menus using Customizer. blog.ryerson.ca will be upgraded to WordPress 4.6 on Tuesday, August 30, 2016 between 6:00am and 8:00am. A new inline link checker. Drafts saved to your browser (for easy content recovery if you lose your internet connection while authoring a post). Faster loading of admin interface, through use of fonts already installed on your device. blog.ryerson.ca will be upgraded to WordPress 4.5.2 on Friday, May 27, 2016 between 6:00am and 8:00am. blog.ryerson.ca users and visitors to your sites may experience a brief outage during this time. blog.ryerson.ca will be upgraded to WordPress 4.4.2 on Friday, March 11, 2016 between 6:00am and 8:00am. 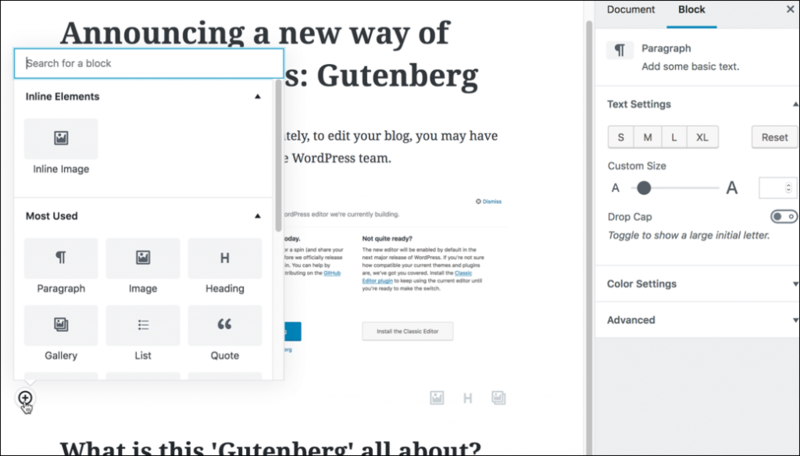 New ability to embed WordPress posts into other WordPress posts. blog.ryerson.ca will be upgraded to WordPress 4.3.1 on Friday, October 02, 2015 between 6:00am and 8:00am. Menu editor in the Customizer. Shortcuts to formatting text in your posts. Site icons, that appear in browser tabs, bookmarks, and on the home screen of mobile devices. Various coding and security fixes.